Heifer Sacramento volunteers participated at several 2014 Earth Day celebrations at Southside Park and American River Junior College. 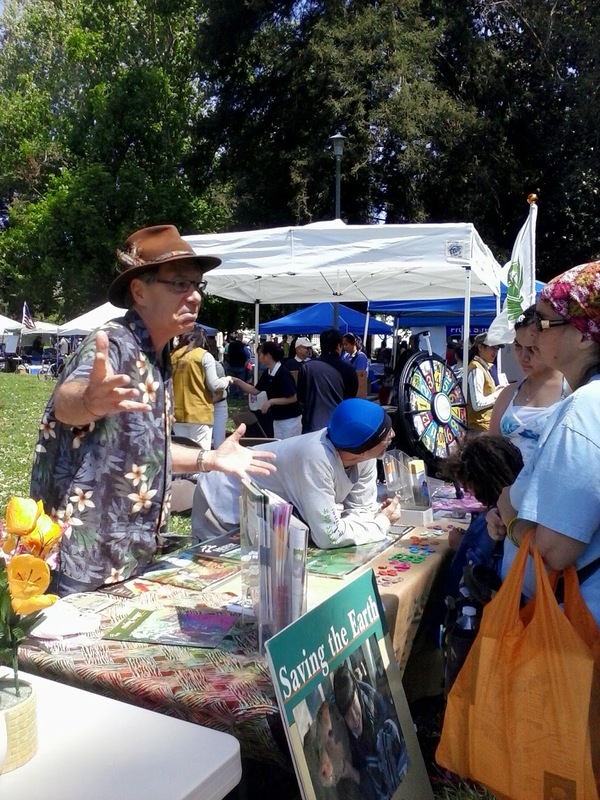 Earth Day was celebrated on a great day at Southside Park on April 18. It was a busy day with lots of interest in Heifer Sacramento's display. We brought our popular spinner with questions about Heifer Cornerstones (12 essential principles that guides Heifer's work). Right answers garnered a prize. The children enjoyed making and coloring bee bracelets and flower pops. We gave out post cards advertising our Sacramento celebration of Heifer International's 70th anniversary on October 18th. Great weather! Interested attendees! We were glad to be a part of the event! For the first time, American River Junior College invited outside organizations to join their Earth Day event on April 23rd. 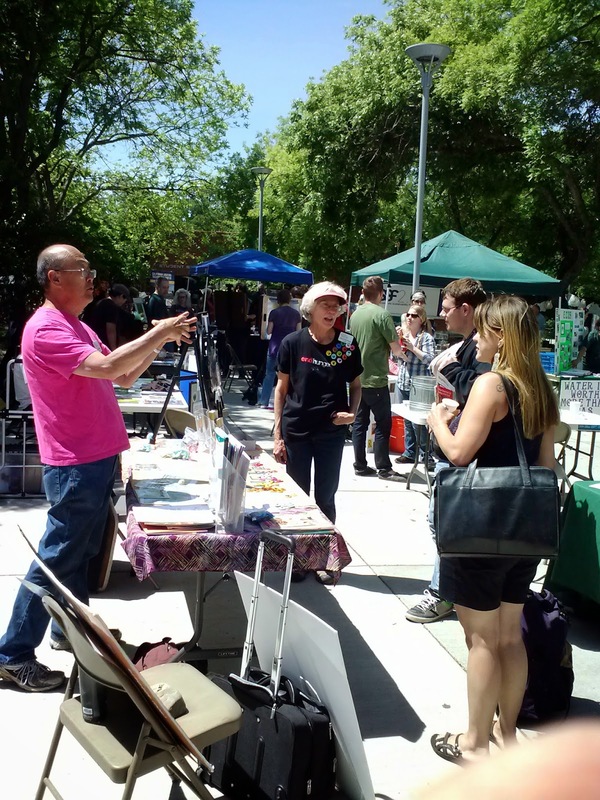 Heifer Sacramento volunteers, John Brewer, Cheryl McKinney and Kirk Fujikawa, had a grand time talking with attendees. The event was held in the Quad near the student center and library in a mostly shaded area from 8:30 am to 3:00 pm. The three of us were quite busy throughout this beautiful day. Many students were new to Heifer International and our volunteers were very happy to acquaint them with our amazing organization. We used our Cornerstones spinner along with the related information to involve the students in dialogue. The students were quite interested in and impressed with Heifer's work and left our table adorned with animal buttons, brochures and an invitation to our local celebration of Heifer's 70th Anniversary event in hand. This event was well worth our time and a repeat performance next year. Did we peak your interest in finding out more about Heifer International? Learn more on our website.